Make your little girl look stylish as you dress her up in this ruffled half sleeves top from the house of Babyoye. This top is made from soft fabric and is super comfortable to wear. 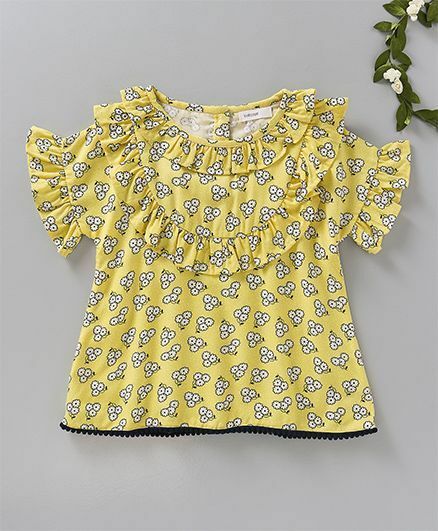 round neck with ruffled pattern with all over floral print and pull over style ensure fuss free dressing. This top features back button closure and is sure to keep your darling comfortable all day long. such a cute top it is ! fits nicely to my 2 yr old baby !! good fabric too ! !